GET 100% BONUS UP TO $500 and a RKH patch with the code "PARTYHERO"!! Party Poker is one of the biggest and highly trusted online poker game providers, with more than 14 years experience on the market. As part of bwin.party Digital Entertainment, it is listed on the London Stock Exchange. Aiming to give casual and recreational players well balanced experience, Party Poker is providing softer games, friendly pools and lower limit games. Nevertheless, players have the opportunity to qualify for big live events like the World Poker Tour, by participating in variety of satellites and qualifiers. The games offered are all the variations of Texas Hold'em, Omaha, Omaha Hi-Lo, Seven-Card Stud and Seven-Card Stud Hi-Lo. No High Limit cash games are not offered. Traffic is stable and consistent night and day and there are $15 million in guaranteed tournaments every month. 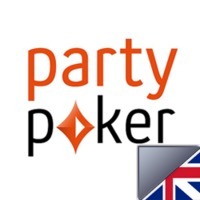 Party Poker’s pro team is currently consisting of players like Mike Sexton, Tony G, Kara Scott and Dragan Galic. Thousands of hands are played on poker websites, so it’s important that users feel comfortable with a platform. Fast connection, reliable work and entertaining features are set standards for poker providers. PartyPoker.com is accessible from Windows, Mac and Linux operating systems, thanks to the flash-application browser version of the package. Software is further available for download for both Mac and Windows. Party Poker also provides extensive and easy ways to manage customization. The ergonomic interface offers different themes, customizable avatars, sounds and four-color decks. There are preferred seating options, training tables and deal-making. Multi-tabling with up to 12 tables is possible, with tile, cascade, stack, resize, replay and hand history download options. Cash games vary from $0.01/$0.02 to up to $5/$10, tournaments include freerolls and events starting with $0.10 buy-ins and going all the way up to the weekly $500 High Roller event. FastForward Poker is a great addition as well, giving players the opportunity to keep folding until they find a hand that they feel comfortable with. When it comes to security, it is essential to know that your online poker provider has passed the needed audits of the regulatory body and is safe to use. Party Poker has a highly secured 128 bit encryption, uses a random card generator, checked by a third-party company and holds the eGaming, GamCare and eCOGRA certificates. Deposit and withdraw options are versatile and offer secure money transactions. Deposit Options: VISA, MasterCard, Paysafe card, eps (Australia), WebMoney, Bancontact Mister Cash, iDeal, Laser card, Click & Buy, Click2Pay, Giro pay, ukash, Przleway24, DirectPay24, my citadel wallet, Poli, eWire, ELV Germany/Austria), Electronic Transfer (Canada), UsemyBank (Canada/U.K. ), Switch/Solo/Maestro, Skrill (formerly Moneybookers), EntroPay, Neteller, bank wire transfer, bank transfer. Withdrawal Options: VISA, Mastercard, WebMoney, Switch/Solo/Maestro, Electronic Transfer (Canada), Neteller, Click2Pay, Skrill (formerly Moneybookers), bank wire transfer, my citadel wallet, bank transfer, checks by mail, checks by courier. Please note, that sometimes payment processors may require more than one try for the transaction to take place. Withdraws are usually charged for. In case of questions, players can contact Party Poker’s 24/7 support team by either email, phone or live chat. There is also an extensive FAQ for the most common threads.